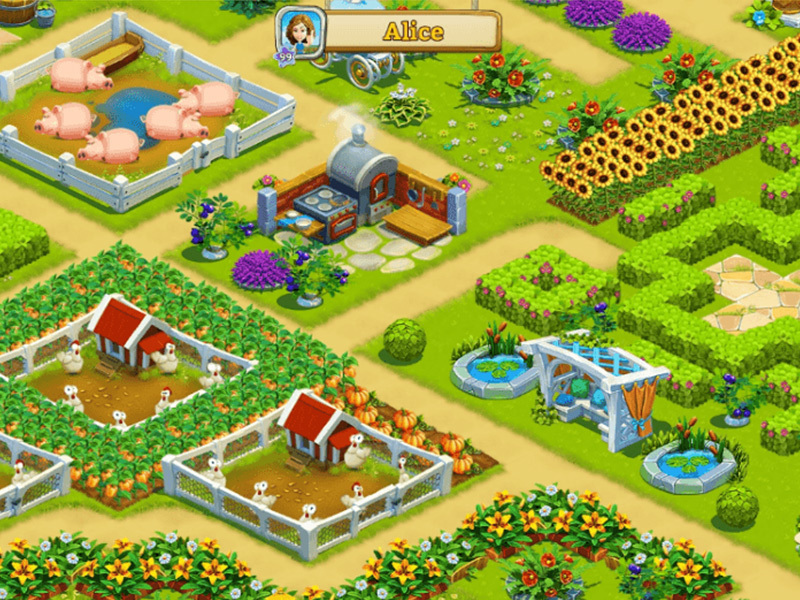 Build and customise your own farm in the farming sim Golden Acres! Golden Acres is a great new farming simulator game! 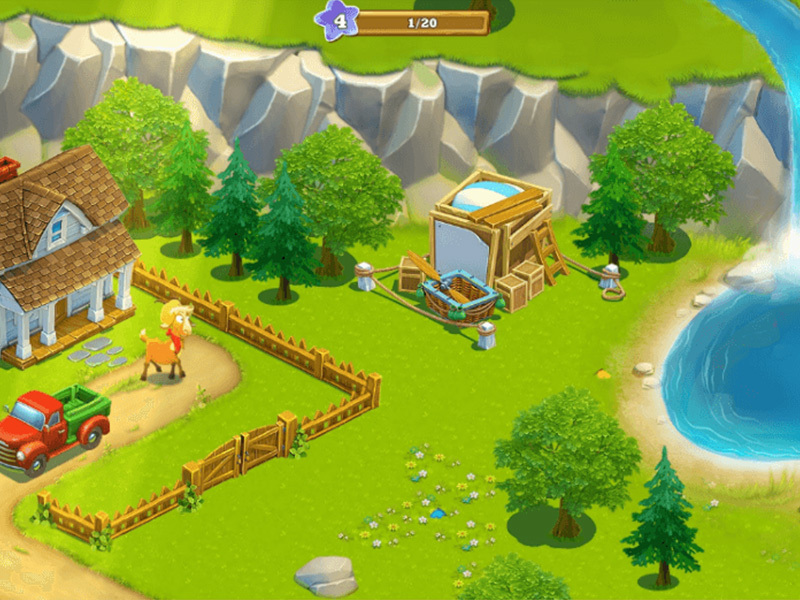 Build your own farm by constructing and upgrading farm barns and other buildings. You can create plots to grow vegetables, and orchards for fruit trees. Clear space for farm animals like sheep, cows, pigs, chickens, turkeys, and more! Refine your produce and send it off to the market by train. You will have to develop your trade skills to run your business successfully! Your farm also has some underground secrets to offer. Use the mines below your farm to search for precious diamonds! You can also enter the free lottery and win all kinds of great prizes! 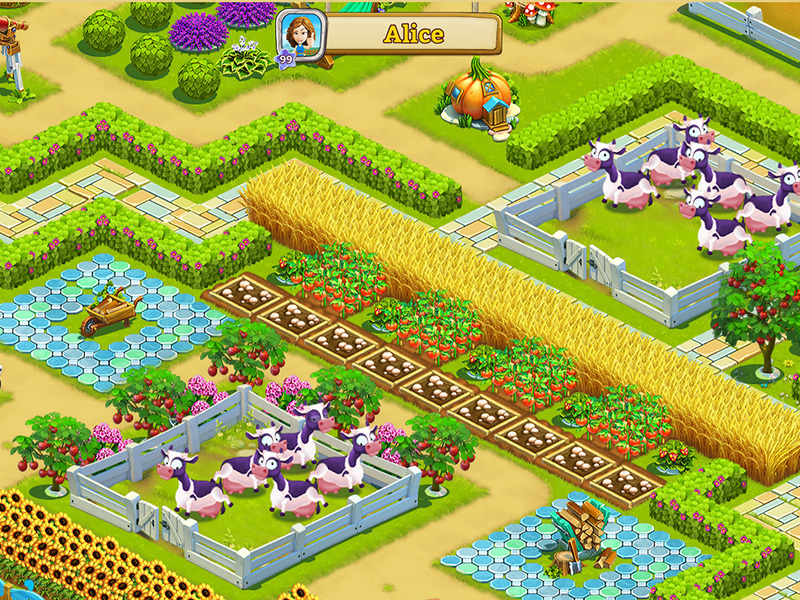 If you want to interact with your friends and other players, you can visit their farms and go to the Farmer's Fair. 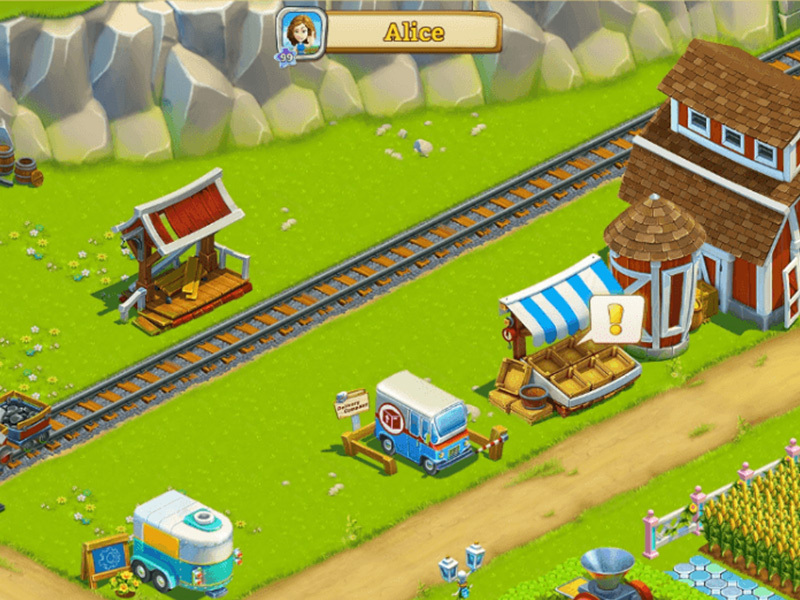 See how your friends have customised their farm, and compete against each other at the big Farmer's Fair. Have a great time with Golden Acres! Free lottery for extra prizes! Island Tribe 2: Farm SimulationFind a new home island for a tribe and overcome many dangers while you explore. 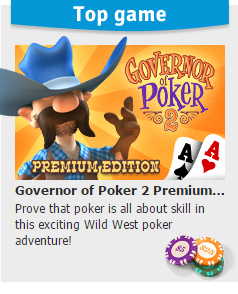 Governor of Poker: Farm SimulationGo back to the roots of this exciting game and play poker against the old western pros! 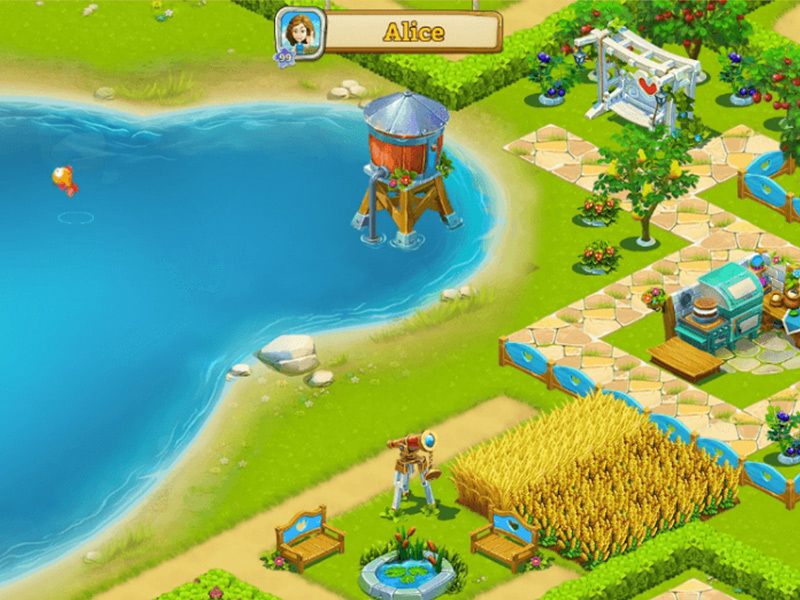 Farm Frenzy 3: Farm SimulationTravel to the most exotic locations and help others run their farms.